In the ramp up to the official release of Windows 10 Threshold 2 (TH2), Microsoft released yet another Windows 10 Insider Preview, this time build 10576, to members of the Windows Insider Program on the Fast ring. In fact, both desktop and mobile editions are released at the same time. As it’s not released to those on the Slow ring, no Windows 10 Build 10576 ISO images are published. 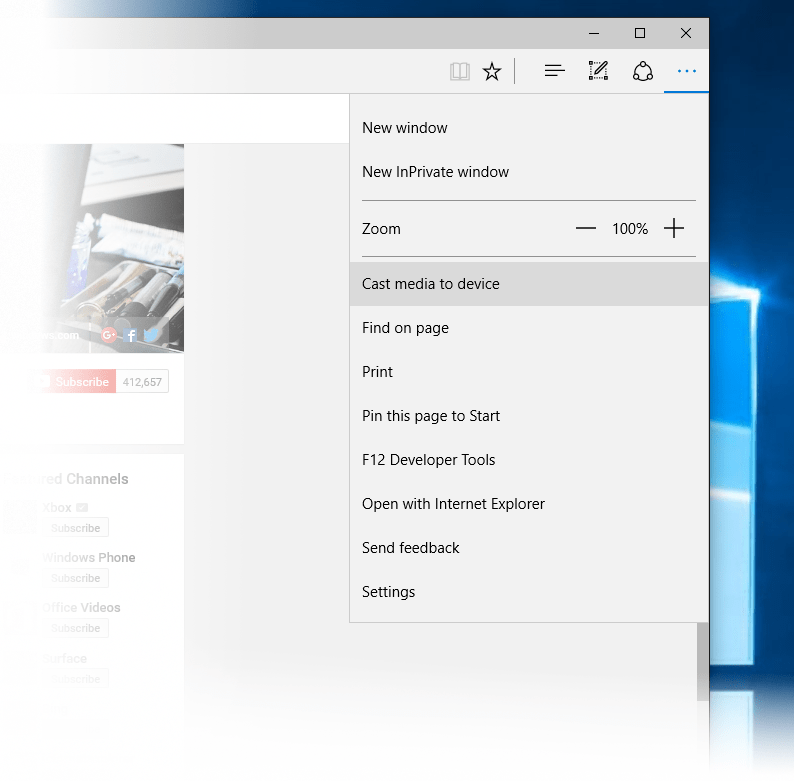 Media Casting in Microsoft Edge: Use Microsoft Edge to cast video, picture, and audio content such as from Youtube, Facebook and Pandora from your browser to any Miracast and DLNA enabled device on your network. However, casting protected content (content from places like Netflix and Hulu) is not supported. Ask Cortana inside PDFs in Microsoft Edge: Highlight text while reading a PDF in Microsoft Edge and right-click to “Ask Cortana” to find additional information. Updated Xbox beta app for Windows 10: The Xbox beta app for Windows 10 was updated to include the ability to easily find and add Facebook friends who are also on Xbox Live to play, chat, and share clips. In addition to that new feature, voiceover recording functionality has been added to Game DVR, and the Store in the Xbox beta app will allow you to search for and purchase Xbox One games – including Games with Gold and Deals with Gold promotions, and Xbox One 25-digit codes will be redeemable within the app. To download and install Windows 10 Build 10576, just head to Windows Update. If you’re looking at an ISO images, there are plenty floating on the Internet, which was made by converting ESD from Windows Update to ISO.